Chesley Knight Bonestell, Jr. (January 1, 1888 – June 11, 1986) was an American painter, designer and illustrator. His paintings were a major influence on science fiction art and illustration, and he helped inspire the American space program. 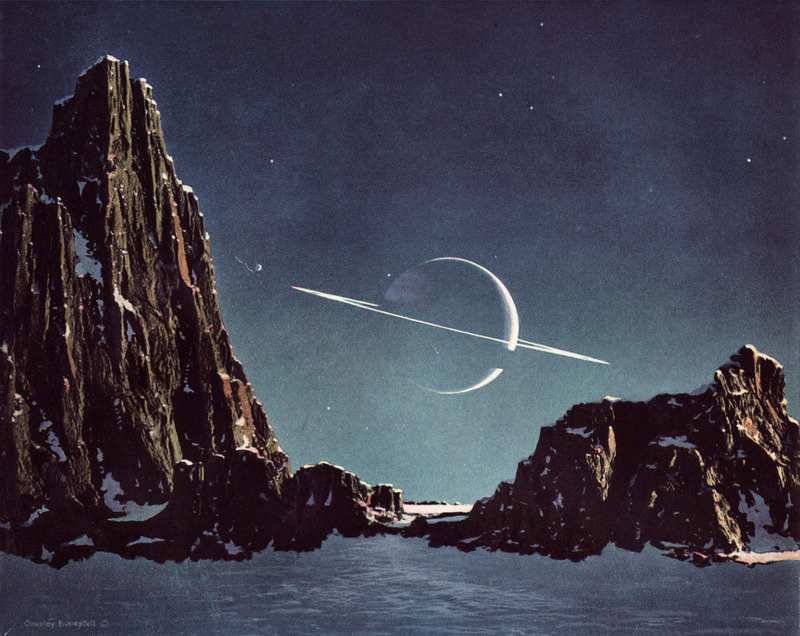 An early pioneering creator of astronomical art, along with the French astronomer-artist Lucien Rudaux, Bonestell was dubbed the "Father of Modern Space Art". I like this artist as I feel that astronomical art is unique and I like astronomy.